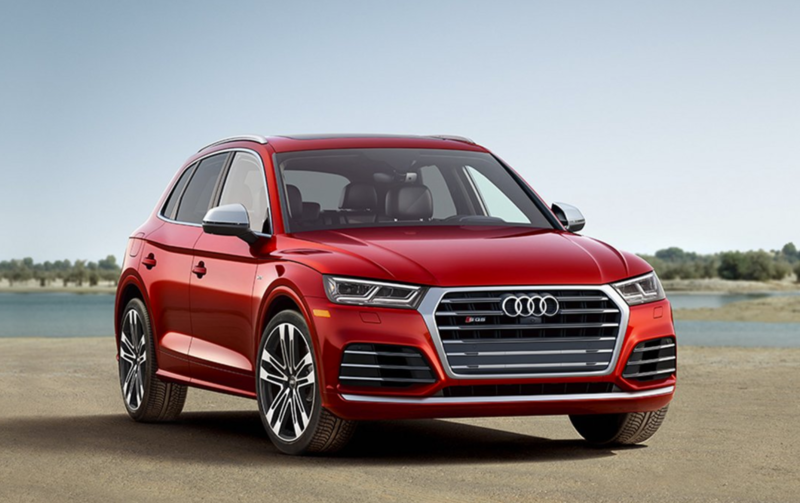 The 2018 Audi Q5 is the brand’s midsize SUV, slotted above the compact Audi Q3 and the full-size Audi Q7 in the brand’s SUV lineup. Fresh off a recent redesign, the Q5 bring style and luxury to buyers looking for something fancier than mainstream offerings, like the Volkswagen Tiguan or Nissan Rogue. From a buyer’s standpoint, the Audi Q5 has an opulent techy interior and provides a smooth and comfortable driving experience. Shoppers looking for something more exciting, and willing to pay the premium, can check out the performance-oriented QS5, which has flashy styling and mechanical upgrades. Pricing for the base Q5 starts at an MSRP of $45,500 and the QS5 starts at $54,300. Summary: The 2018 Audi Q5 is a cutting-edge, comfortable and stylish SUV that straddles the compact and midsize categories. It’s a thoughtfully crafted SUV for shoppers who appreciate the details. Did You Know? The Q5 is one of the most fuel-efficient non-hybrid SUVs available within its size class, based on EPA-estimated fuel economy.